Short Review: Gasp-inducing, heart wrenching and a magical spectacle that transcends the stage. This play was written by and for the fans. 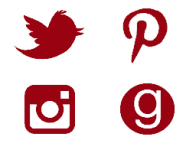 Scroll to the end for my longer review, along with a couple tips. To say that I am a huge Harry Potter fan is like saying He-Who-Shall-Not-Be-Named is troubled. I have stood in line at midnight to buy the books then gone home and read them through the wee morning hours until my eyes could only stay open with the aid of toothpicks. I have Harry Potter cups and blankets. I have Harry Potter Christmas decorations, Harry Potter stationery, etc. Nothing really out of the ordinary for the fandom. 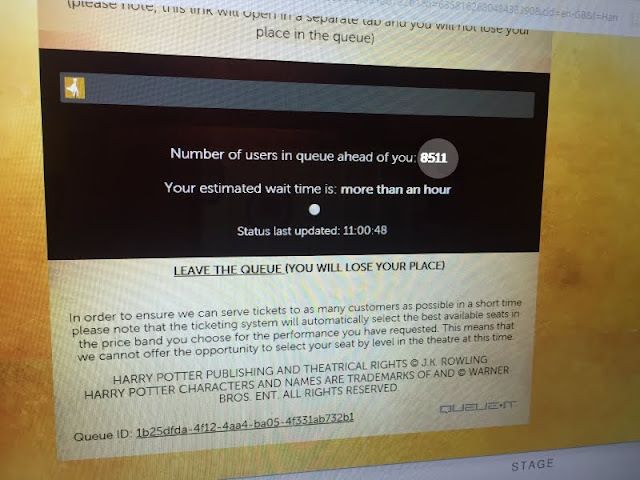 So I, along with thousands of other diehards, logged on last October and held our breaths for the agonizing wait to buy the first tickets for Harry Potter and the Cursed Child. I had scrutinized seating charts for the Palace Theater (erroneously thinking I would be able to choose), written notes, pondered strategies. I was like an 11-year-old anticipating my owl invitation to Hogwarts. I set two different alarms the night before and woke up promptly at 3:00 a.m. in the morning. I had my MacBook and a PC laptop opened at the same time, just in case one browser was slower than the other or, horror of horrors, one died on me at the crucial moment. A trip to London was a distant, secondary concern to me. Whether the play was going to be in Timbuktu or Siberia or Poughkeepsie, all I cared about was the coveted golden ticket. It was excruciating, waiting for my turn at the queue and seeing the astronomical amount of lucky souls ahead of me dwindling at a snail's pace. Like everyone else, I despaired, I gnashed my teeth, I lamented the unthinkable - what if all the tickets sell out before my turn? There was a world of drama surrounding this play and I hadn't even seen a second of it yet. 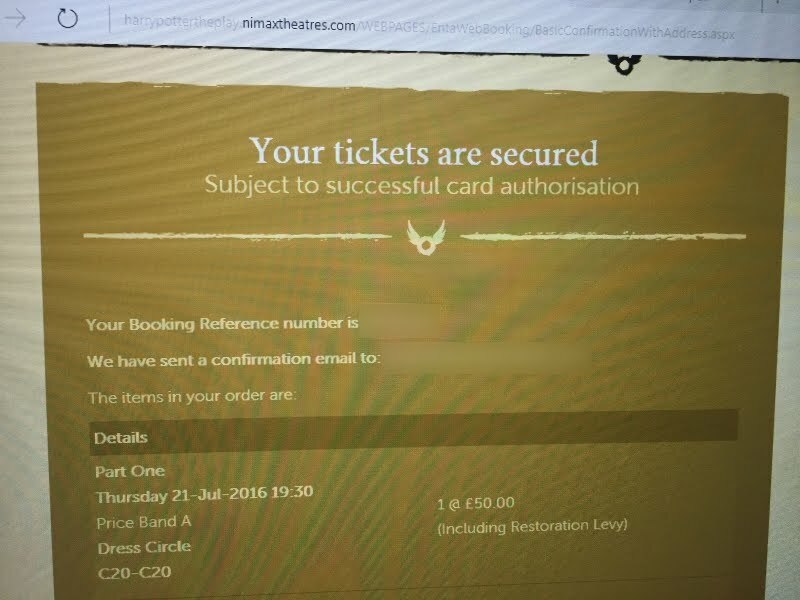 All was well, however, when wondrously, happily, two hours after I first gone in line, one came into my possession, less expensive than I originally expected AND in my preferred seating area. Queueing an hour before the curtain rose, as instructed, the line wrapped all around the building, almost to the front of the gorgeous Palace Theater. Many were dressed in Hogwarts robes or Harry Potter T-shirts, some with their wands or wizard hats. Everyone was in a state of unbelievable excitement, including me. Even though we were strangers to each other, everyone in line felt like part of a privileged and special community. We had scrimped and saved, we had flown from all over the world. Many, like me, had come to London specifically to attend the play. We were true, diehard fans. At least most of us. I sat next to a daughter who had to explain Book 1-7 to her mother so that her mother would understand the significance of ... everything. I guess if you haven't read the books or seen the movies you can still enjoy the play?! After all the fanfare and hype ... it all came down to this. Once the curtain rose, the play began exactly in the midst of the last scene of Deathly Hallows when Harry, Ginny, Hermione and Ron were sending off Albus and Rose to Hogwarts at Platform 9 3/4. Draco is there too, with his son, Scorpius. From there, all of my preconceived notions of how the story would unfold was turned on its ear. Every expectation, except the one where I would be wowed, went out the window. For the starters the stage illusions and props were used with such ingenuity that time and time again, my mouth hung open with what they were able to accomplish. It was pure magic. Gothic arches soaring from posts stood in for Kings Cross, Hogwarts and the Forbidden Forest with clever effects. There are inventive choreography involving old-fashioned luggages and moving staircases. Giant clocks at first seemed like mere decoration, until the story began to manipulate time and then their significance became clear. The music and choreography (especially at the start of Part II) enhanced the narrative handsomely. But take away the dazzling stage effects, stripped to its bare heart, the play is both a moving homage to the Harry Potter canon, as well as a twist-filled and worthy addition. There are bittersweet appearances of beloved characters - prepare to have your heart broken several times. New characters are introduced but I was most excited for Ron, Hermione and Harry. The actors playing them, Paul Thornley, Noma Dumezweni, and Jamie Parker, respectively, were cast perfectly. Never fear, Potterheads, Thornley was a redhead, Parker dyed his hair black, and Noma embodied the strength, smarts and emotional essence of Hermione superbly. All of their performances made my soul sigh in relief - they were exactly as I had hoped them to be and more. No scenes were more emotionally driven and authentic, however, than the ones involving Harry's and Albus's troubled relationship. The boy who lived is now grown-up but less sure as a father than he is as a wizard. Jamie Parker is riveting as an adult Harry Potter, still harboring the pain of having been orphaned as a baby and all the hardships he's had to endure. Struggling to live up to his father's legend, Albus becomes rebellious as he tries to be his own person - which sets in motion a series of horrifying events. Jamie Parker (Harry) and Paul Thornley (Ron) signing autographs. Harry and Albus may be the emotional center of the play, but it is Scorpius Malfoy who steals the show. To my utter surprise, he was my favorite character of the entire play. Socially awkward, a loner, and bookish - he is the opposite of what a Malfoy should be, thus reflecting the theme of children as disappointment to their fathers' legacies. As outcasts, Albus and Scorpius become fast friends, to everyone's horror. Unlike the triumvirate of Ron-Hermione-Harry, this duo is unpopular and Harry is convinced that their friendship will lead to a dark path. 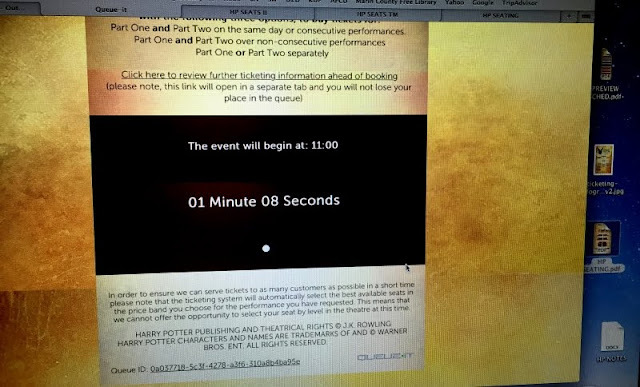 So who is the "cursed child" then? Albus - who falls hopelessly short of the legend of Harry Potter? Scorpius - rumored to be fathered by Voldemort rather than Draco? Or one of the new characters introduced? The cursed child is the theme that runs from beginning to end, as children are cursed by their fathers' pasts and struggle to emerge from the shadows. One thing I must say is that for all the shocking twists that the play reveals, greeted by huge gasps, one particular twist seemed to wander into fanfic territory and I couldn't suspend my disbelief at that point. Everything else, though, was blessedly outstanding. By the end, I felt sad that the journey was over, but relieved that my favorite characters had grown up the way I always imagined they would. Bravo to the entire cast, crew and creative team of Harry Potter and the Cursed Child! You were all magnificent! 2. As soon as Part II ends, immediately make your way to the stage door. All the principal actors will patiently sign and take selfies with everyone in line. Buy a program for 5 pounds and bring a Sharpie because some actors don't carry their own signing pens. 3. At the end of each performance, the staff at the doors hand out free buttons with the hashtag #KeepTheSecrets. 4. I was able to bring in my own small snacks and a bottle of water. There is a bag check but security did not seem to care about outside food and drink, I think as long as one is discreet. A plate of these never stays for long in my house. They're just too good of a snack and good for you. No added sugar but addictive nevertheless. The secret is using really ripe bananas. 1. Mash bananas until smooth. 2. Add in all of the other ingredients, mix well, and let sit for 20 minutes in the fridge. 3. 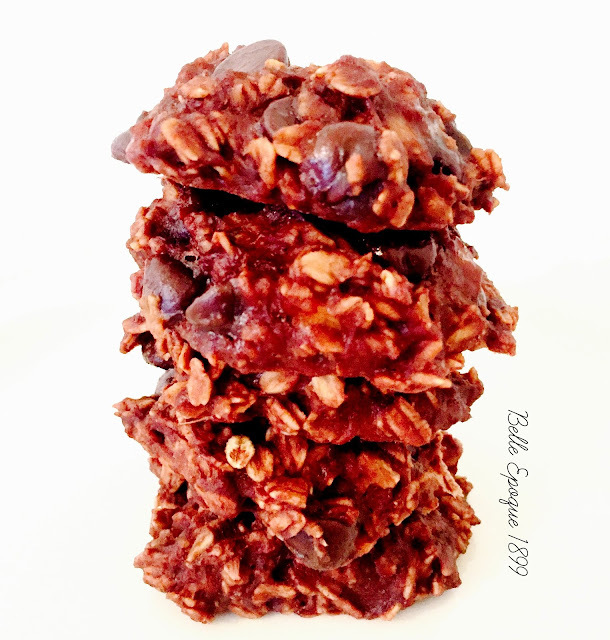 Drop by the heaping teaspoonful onto a silicone mat-lined cookie sheet and bake at 350 degrees for 10-12 minutes. In her mid-thirties, fashion editor Karen has it all: a handsome boyfriend, a fab flat in west London, and an array of gorgeous shoes. 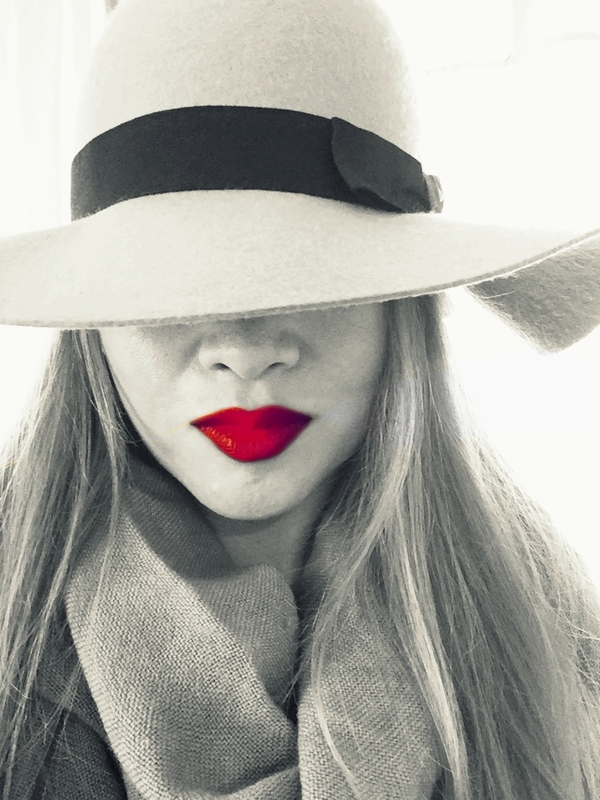 But when her boyfriend, Eric, leaves she makes an unexpected decision: to hang up her Manolos and wave good-bye to her glamorous city lifestyle to go it alone in a run-down house in rural Poitou-Charentes, central western France. 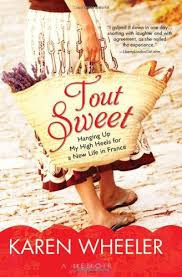 Tout Sweet started out auspiciously enough, with a dramatic night spent in Caen – one of those crossroads-type scenes – where the author is leaving one life and starting out another. The end of the chapter had me laughing, appreciating the author’s healthy sense of humor about her misadventure. 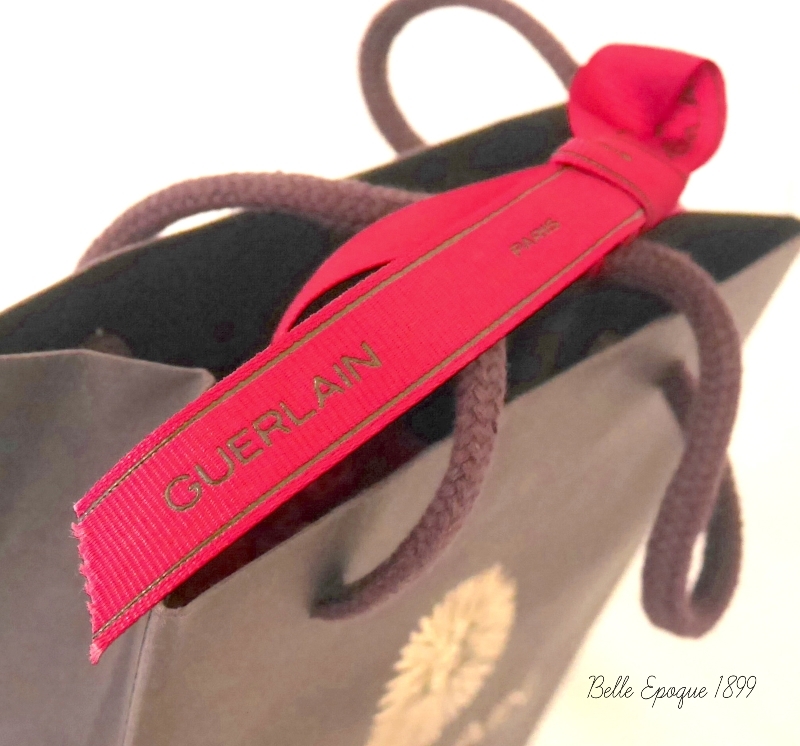 Once she did arrive in the French countryside village, however, the narrative seemed to focus too much on her love life/search for a man and less about exploring every intriguing aspect of life in France. Plus most the people she writes about were British ex-patriates like her, not so much the French. As I did enjoy reading this fluffy confection on my plane trip to Paris, I will say it is an adequate memoir to pass the time, but not anything too memorable or deep. As soon as I knew the dates I was going to be in Paris, I e-mailed Guerlain and inquired, hopefully, if they had any bottles of L'Instant Magic lying around that I might purchase in person in a few months. 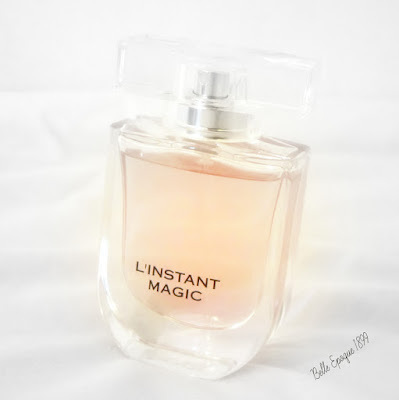 You see, L'Instant Magic has been discontinued for some years but I thought if anyone would have it, it would be its maker. "Dear Madam," it read. "Unfortunately, the fragrance L'INSTANT MAGIC has been discontinued from the Guerlain range of products. At this date, there isn't anymore stock available in our warehouse." So when I was shopping at Galaries Lafayette in Paris and the Guerlain associate asked me if I needed help, I blithely asked if she had any L'Instant Magic lying around. 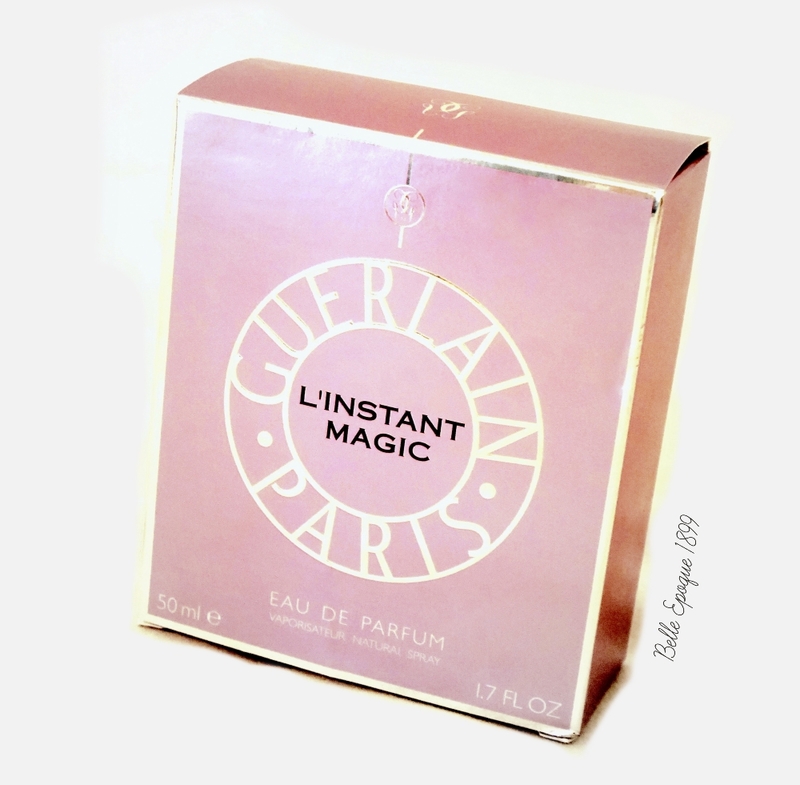 "I'm sorry, madame," she said regretfully, "but Guerlain no longer makes L'Instant Magic." I shrugged but then she hesitated. "Although, let me look in the back," she said slowly as if remembering something. 20 minutes later - she confirmed that she had 4 boxes left. How many would madame like? It was with utmost restraint that I only asked for one. 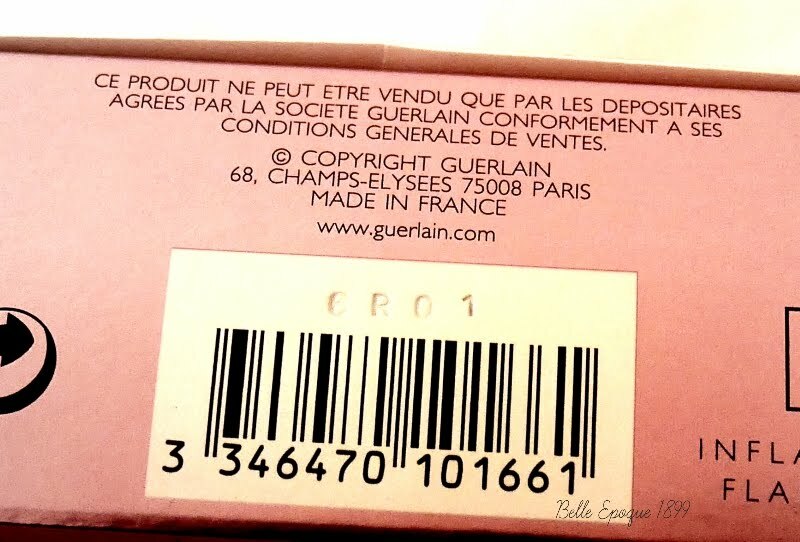 If I never bought anything else my entire trip, the pink Guerlain box would have been a sufficient souvenir ten times over. 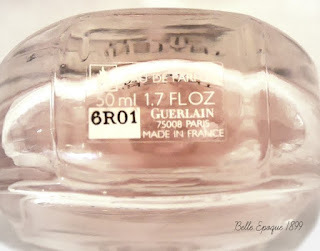 Why do I love this fragrance so much? To answer that, it melds two of my favorite scents - sweet almond and baby powder. That might be a rather basic distillation but I just love it on my skin. 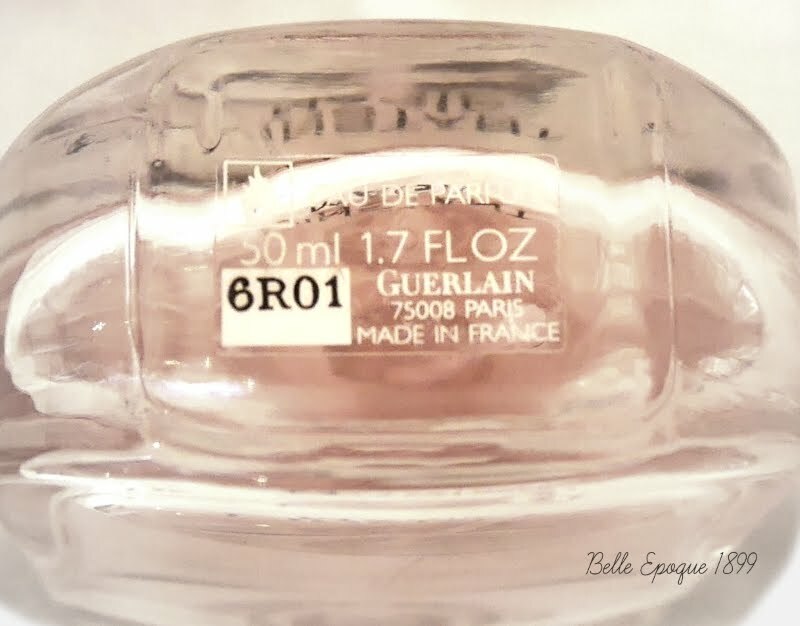 It's springtime, Paris, feminine, and light. 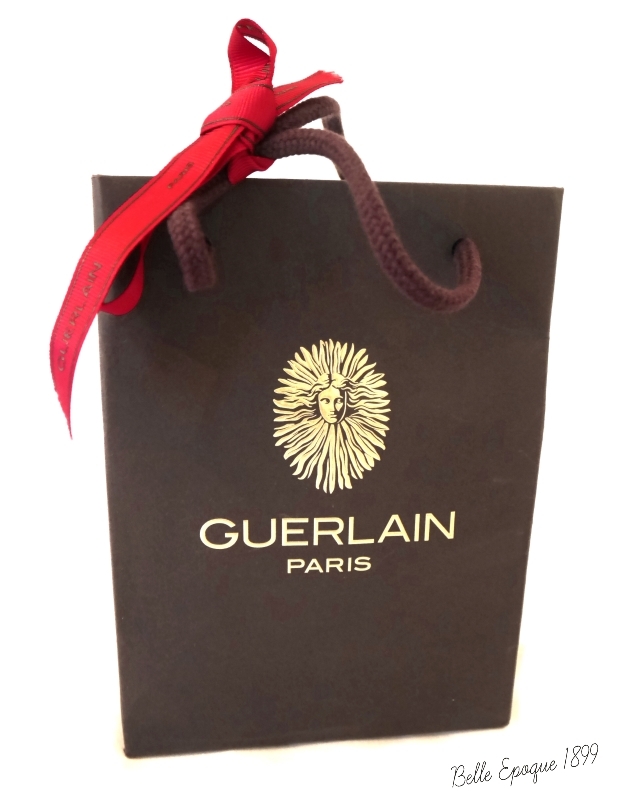 There is a bit of a slight white musk undertone, just enough to give it some sophistication. 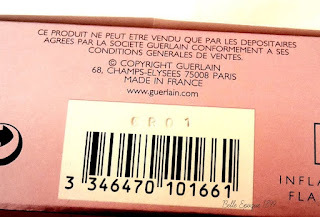 The bottle and the box are both numbered. I admit when I first read about this extremely simple recipe, I was skeptical, especially when I heard claims of being the "best pizza" tasters have ever had. While it wasn't the best pizza I have ever had, I have to say, it is the easiest and fastest one I've ever made from scratch. Only two ingredients and no wait time for the dough to rise. 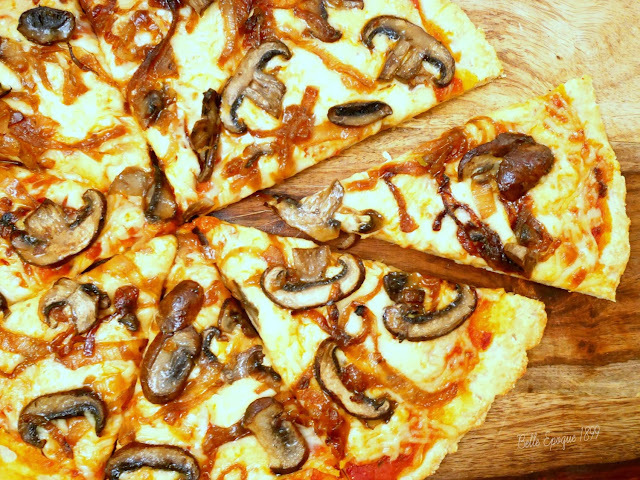 For a quick and filling Friday night or game night snack -this pizza is the way to go. And like all good pizza, this one tastes better the next day. For the pizza pictured above, I used sautéed crimini mushrooms and caramelized onions for toppings. 2. Knead with your hands. 3. Place in a baking sheet and bake in a preheated 450-degree oven for 5 minutes. 4. Take out dough and put sauce and/or toppings. 5. Place back in the oven for an additional 10 minutes or until cheese is melted and bubbly. But magic doesn’t bring Quentin the happiness and adventure and meaning he thought it would—until he and his friends make a stunning discovery: Fillory is real. 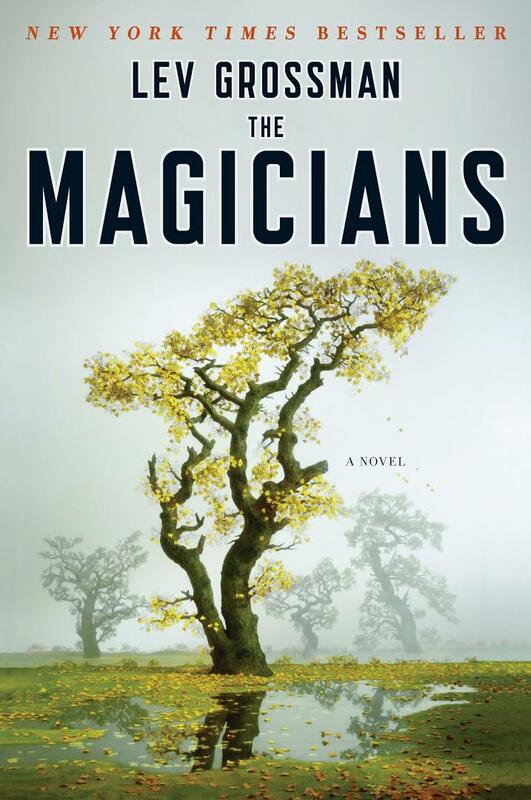 I eagerly snatched up The Magicians when it first came out, utterly thrilled by the prospect of “Harry Potter for grownups.” As with my experience with The Paper Magician by Charlie N. Holmberg – I could not get into the book. I can still point specifically to the reason why: Quentin, the main character from whose point of view the story unfolds. Initially, I found him to be too whiny and smug. I only tolerate unlikeable protagonists when its assigned reading. So not wasting any more time, I shunted it to the “tried it and didn’t like it” pile. Here’s the twist. Fast forward to this January, when SyFy premiered with their superb adaptation of the series. I only intended to watch the first episode out of boredom and – you guessed it – ended up hooked, with each episode better than the last. I was raving about it so much that I got my brother and sister into it as well. Startled and stunned by the last cliffhanger of an episode, I texted my brother, “Maybe I should read the books,” and then “That is a bizarre statement coming from me.” Indeed, for someone who prides herself on reading the book first before watching the movie. So I returned to The Magicians, albeit bracing myself for again disliking Quentin. Did time soften my impression of him? No. He was still whiny and super-smug but this time I somehow got past it. Yes, it is Harry Potter and Narnia rolled into one . Grossman basically took the familiar childhood fantasy tropes and turned them on their ears. Quentin is a neurotic, even cowardly Harry Potter and Fillory is a very twisted Narnia. There’s darkness and death (one which slayed me) and pettiness. Most of the gang of magicians seem like superior college kids at school I used to despise. Grossman obviously knows his material(s) inside and out, reveres them and yet doesn’t shy away from toppling his idols. The book had what the t.v. series was missing, voiced by my brother, who wished that there was more of the study of magic. Here it is more scientific and involves the rigorous drudgery of study. Less fairy-like, shimmering enchantment, more charts and memorization. Despite this, Grossman still makes the magical worlds of Brakebills and Fillory just as wonder-inducing. I am happy I came back to this series, and although it isn’t perfect, I have no problem picking up the following books in the trilogy.